"I really needed that. Thanks for easing the pain. I can move now. Sure, I'll follow this up with stretches and those simple movement drills to upkeep the improvements made." 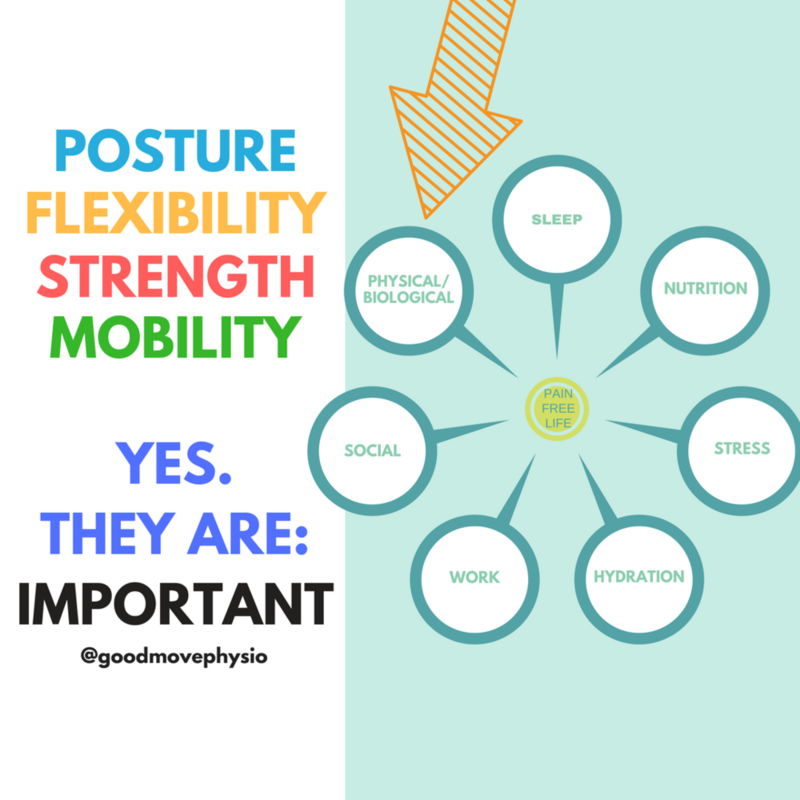 These are words (not exact, but close enough) that come out of busy people like yourself who need to get-out-of-pain, after a treatment session which includes an effective and targeted 'hands-on' (massage, soft tissue work, pushing and gliding those joints...etc.) work. No? You didn't receive ANY 'hands-on' treatment DESPITE one of your inward 'desires' being...ooo...only if someone could help me relive me of that nasty painful spot in my....? Well, I'm not surprised. Let me explain why. Most of us (health professionals) keep up-to-date with research. It's a part of our duty and registration requirements. A part of keeping up is reading up on research papers. And, most papers that have currently (in the past few years) been published and read suggest that reducing pain has LESS to do with correcting things like posture, flexibility, and movement. The papers suggest that reducing pain has MORE to do with better sleep, less stress, better social and work life. Can you now see why you may have received all those information, which really didn't mean much to you? It was all with the best intentions. Now, may I suggest another way of seeing and interpreting the 'research' data, with a little of my 'clinical experience'? I find that if I help you free you of that pain (even just a little) through what may be called a 'temporary fix' or 'hands-on treatment'; help you to 'un-load' muscle stress through better positioning of your body throughout the day (a.k.a posture); give you a couple of stretches that compliment what we did in our session; you start to 'transform' into a person with less pain and someone who can better manage the situation. You may even feel encouraged to start moving and getting that strength up in your body too! This reduction in pain and confidence often leads to less stress (as you have one less thing to worry about), you end up spending your free time more actively (because now you can go for that walk and have that latte afterward), meet your friends more (via that coffee stop), sleep better (because you walked during the day and spent some time with friends and family over a meal) and now you're refreshed to get back to work and make the world a better place! So can you now see that as long as you're not being sold a "let's see you 3 times a week for the rest of your life" type of deal where people get you to 'rely' on them for your own life, that the hands-on approach can be very beneficial for you? As always, get started on something, even if it feels like a tiny little step! If you're in need of a guide to help you back to your life, feel free to contact us or browse through our library of videos, blogs and other content writing we do on other platforms.